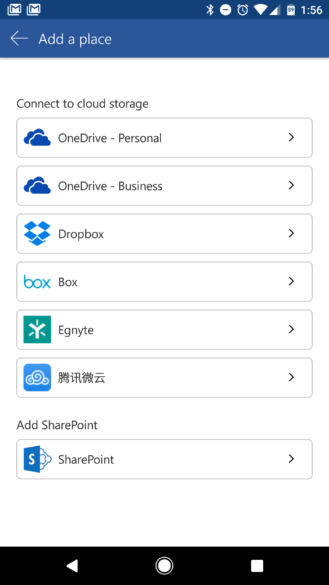 Go ahead and update your Word, Excel, or PowerPoint app and behold the new cloud options: Dropbox, Box, Egnyte, and Tencent. 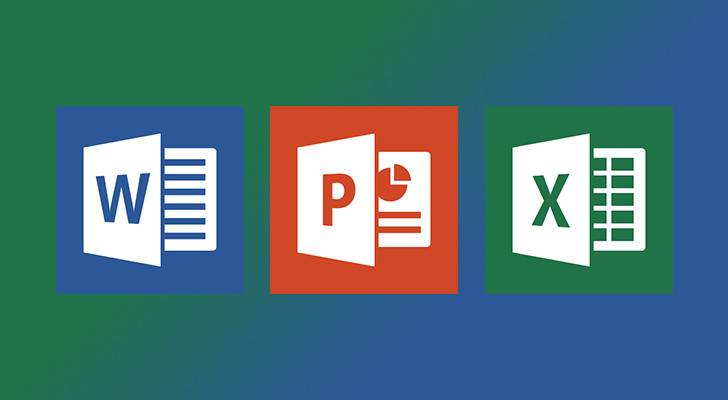 Microsoft will soon add support for Citrix ShareFile, Edmodo, and Learnium. To add one of the new cloud platforms to your app, go into the "Open" menu and tap "Add a place." You will be directed either to an embedded browser or the service's app (if installed) to register the Office app. After adding a new cloud service, it shows up in the "Open" menu alongside local files and OneDrive. You can save, open, and delete files. However, you can't manage folders (at least not right now).